All Diva mei tais have hoods which can be fixed with 2 half-rings on each shoulder strap. 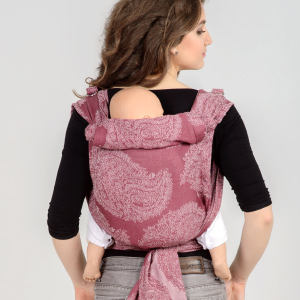 A Ring Sling Cradle Carry is especially comfortable for breastfeeding. How to make a backcarry in a Diva mei tai. You can use a Diva mei tai hood as a headrest.